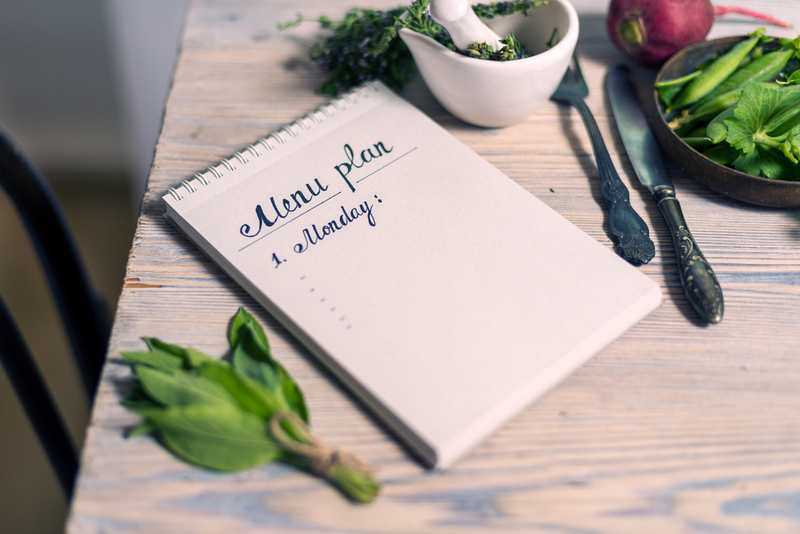 A menu planning program with heart-healthy options is essential for any senior care center. The body’s chemistry and metabolism change as we age, so many older adults need to work on lowering their cholesterol. Eating the right foods can have a dramatic impact on cardiovascular health. As September is National Cholesterol Education Month, now’s the ideal time to share our best senior care center menu planning program tips for lowering cholesterol. Foods that contain trans-fat shouldn’t be included in a heart-healthy diet, as they raise the level of bad (LDL) cholesterol, while also lowering the good (HDL) cholesterol levels. Saturated fats are nearly as unhealthy, so intake should be seriously limited – according to the American Heart Association, no more than 5 or 6 percent of the daily caloric intake should come from saturated fat. Not all fats are bad for cholesterol levels — consuming foods that contain polyunsaturated and monounsaturated fats can actually help in lowering cholesterol. When menu planning, senior care centers should aim to select recipes that rely on healthy fats like plant-based liquid oils, avocados, nuts and seeds. Fruits and vegetables are low in saturated fat and loaded with fiber, and both characteristics aid in lowering cholesterol. Every form counts, so senior care centers can create heart-healthy meals and snacks with fresh, frozen, canned and dried fruits and veggies. As we mentioned, high-fiber foods help reduce cholesterol levels. For that reason, whole grain foods are highly recommended for heart-healthy menu planning. Whenever possible, make whole grain breads, cereals, and starches a part of your senior care center meals and snacks. Older adults have favorite recipes, ones they’ve been making for years. If those recipes rely on ingredients that aren’t heart-healthy – like salt, butter and heavy cream — senior care centers need to recommend replacements. In addition, seniors who need help lowering their cholesterol should be encouraged to use herbs and spices to boost food flavor, rather than salt. Could your senior care center benefit from a user-friendly, cost-effective menu planning program that includes heart-healthy options for lowering cholesterol? The Grove Menus software system is designed to make it easy to plan meals and snacks that meet the individual dietary needs of older adults. Adopt the Grove Menus system, and you’ll have access to hundreds of delicious dietitian-approved recipes – all of which are easy to adjust for seniors with specific nutritional concerns. You’ll also have a suite of meal planning tools designed to reduce both food waste and food costs. For more details about the Grove Menus software system, and for more of our menu planning program tips for lowering cholesterol, contact us and schedule a complimentary consultation and demonstration today.